The WIT Choral Programme is one of the most dynamic and progressive of its kind in Ireland. Since its foundation it has nurtured thousands of the most talented young singers in the region. In a fun and engaging way members are encouraged to develop their singing, musical, creative and performance skills. Our simple but profound aim is to help children achieve high musical and artistic standards through choral singing. Central also to the ethos of the programme is the development of self-confidence, teamwork, and a positive and aspirational character. Membership is open to boys and girls from Senior Infants to 6th Year via an audition. All six choirs within the choral programme regularly perform locally and nationally, with the senior choir periodically undertaking international tours. Highlights include performances at Carnegie Hall, New York, the children's opera 'Lily's Labyrinth' and being the closing act on The Late Late Toy Show. In addition to the programme's impressive performance history the choirs have been hugely successful at regional and national choral competitions. The senior choir of the programme, the WIT Youth Choir, have also received prizes at international competitions in Slovakia and Belguim, amongst others, and in May 2016 were awarded 'National Choir of the Year' at the Navan Choral festival - the first youth choir to ever win the prize. The WIT Singing Club is ideal for children who enjoy music and want to make friends while singing. This group works in a friendly, relaxed and social environment. Through fun, action songs, musical plays etc. members learn the basics of good singing and take the first steps of their musical education. The aim of this choir is not only to help young children to sing, but also to grow in self-confidence. Concerts are staged throughout the year for friends and family and are an excellent laid-back introduction to performing. The next step in the Choral Programme is the WIT Children’s Choir. 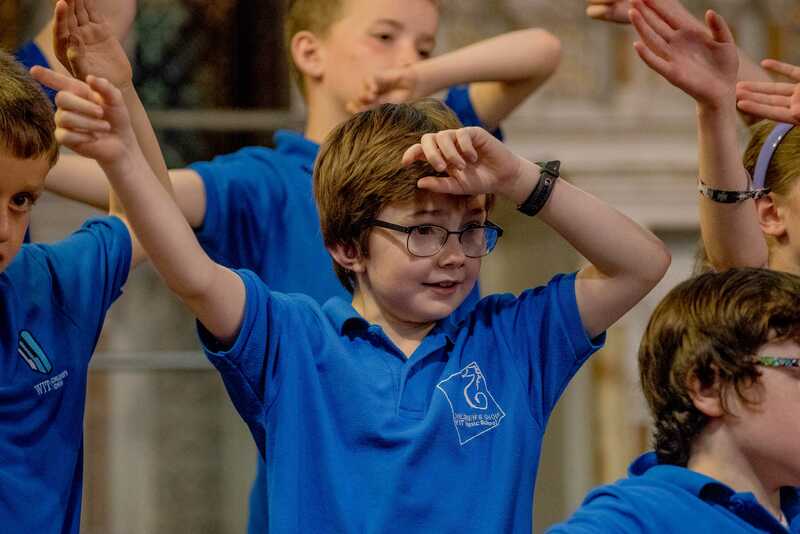 Hugely popular and enjoyable, this choir is primarily about fun but its members have also proven their ability to learn and perform some challenging music with enthusiasm and confidence! In addition to singing in regular concerts and musical plays, the choir enjoys an annual appearance on the Winterval Singing Christmas Tree. The group has also featured in Waterford New Music Week's very popular annual concerts. 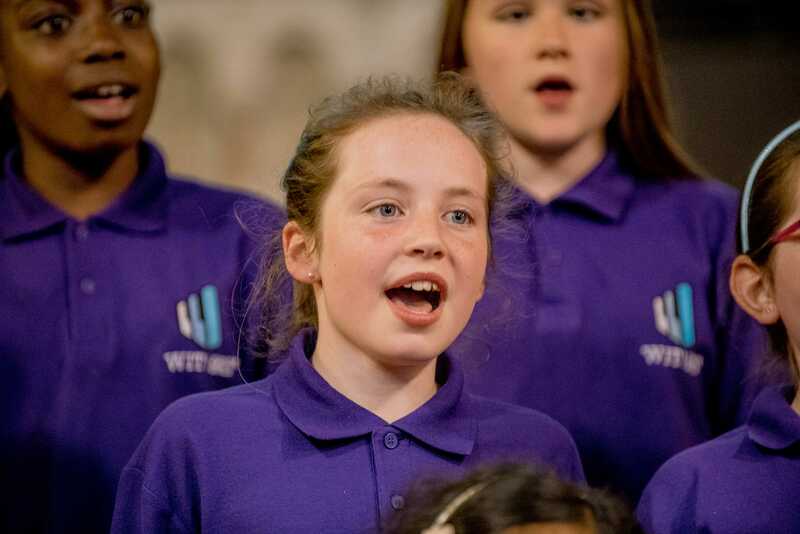 The WIT Junior Girls’ Choir was established in September 2005 to cater for the vast number of talented young girls interested in choral singing. The girls develop their ability to sing in parts (harmony) as well as more advanced unison singing and have been noted for their unique sweet sound. As well as singing in concerts for family and friends the girls sing annually at the Winterval Singing Christmas Tree and during Waterford New Music Week. At this age, boys just want to be boys! So this, along with making the most of the special sound of a boy’s voice before it changes, lead us to have a boys’ choir for this age group. Members of the Boys’ Choir learn a wide variety of musical styles, tackle music in parts (harmony) and explore important aspects of vocal technique. The choir has been involved in a vast array of projects and performances since its inception including a live performance on Lyric FM, recording a Christmas single and singing as part of a massed choir of 300 at the opening ceremony of the Tall Ships Race in Waterford 2011. The level of the choir is such that they have participated and won at choral festivals such as Arklow and New Ross. From time to time the Boys’ Choir combines with the Girls’ Choir for concerts and special events. Together they have staged a children’s opera, won at the Feis Ceoil and closed out the Late Late Toy Show. The WIT Girls’ Choir was the first choir to establish within the WIT Music School (formerly Waterford Larks) and it continues to be a very active and successful group. This choir has considerable competition experience and the high level of commitment shown by the girls means that they have developed to an advanced standard. 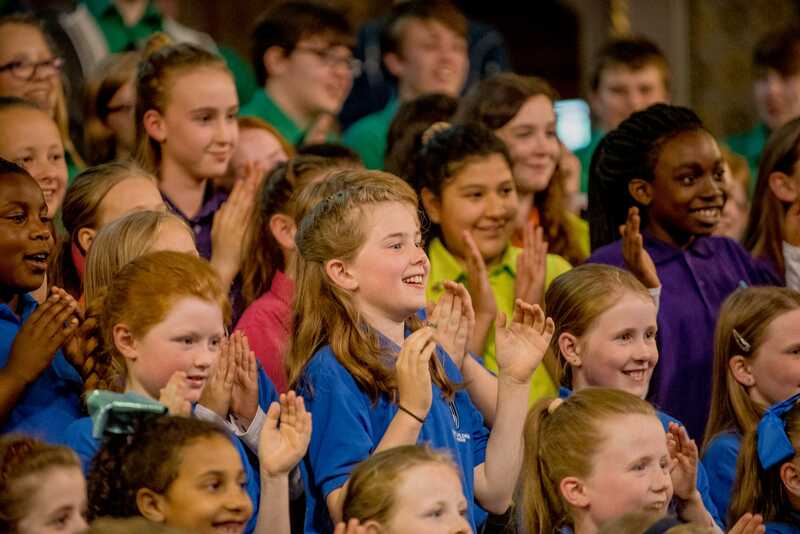 They have been winners at Choral Festivals in Dublin, Arklow, New Ross and Waterford. 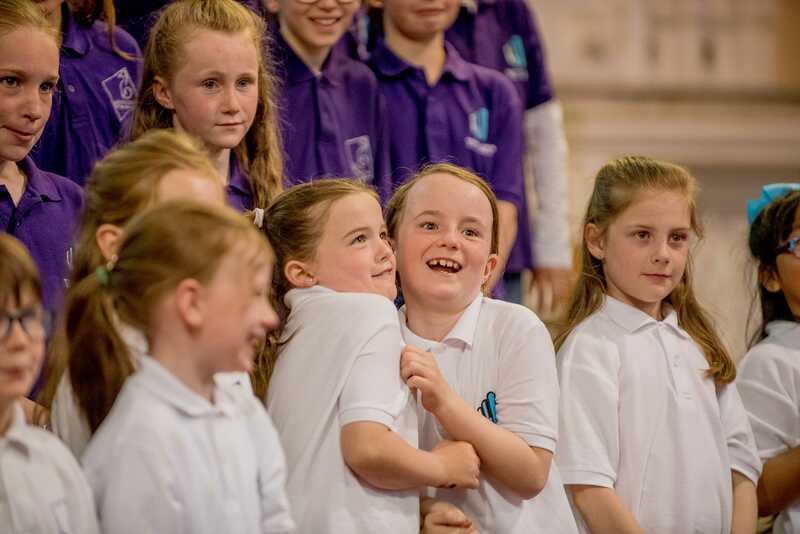 Travelling with the choir, whether on day trips to choral festivals or on overnight rehearsal camps, helps the girls to grow in confidence and independence and prepares them for travelling internationally if and when they progress into the Youth Choir. 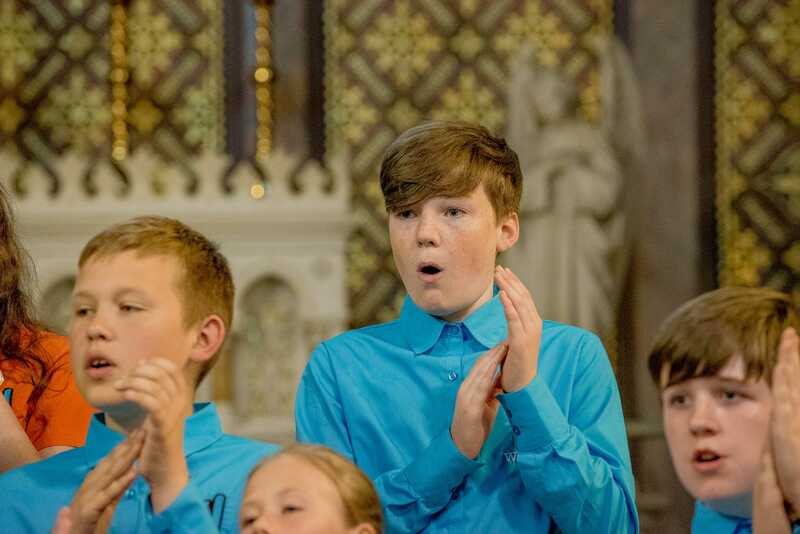 The senior choir of the Choral Programme provides a fitting challenge for all keen singers of secondary school age and is widely regarded as one of the best youth choirs in Ireland. Members of this group take on innovative repertoire, explore advanced vocal technique and are given high profile performances opportunities such as collaboration concerts, national competitions and visits to international music festivals. 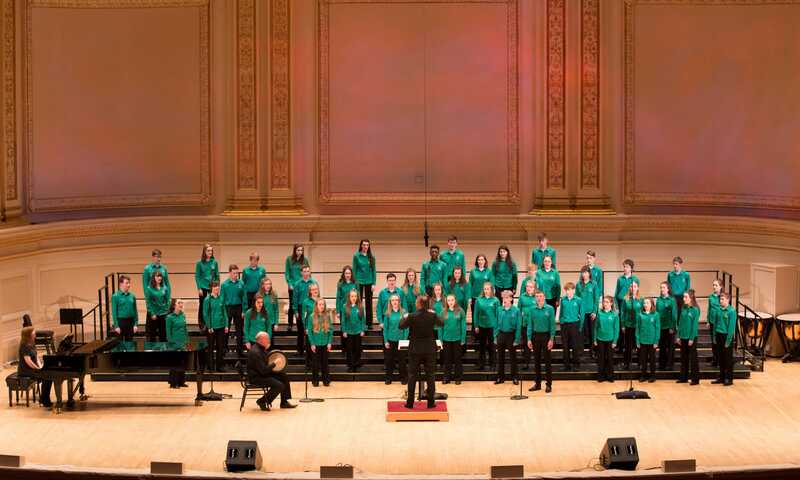 Highlights to date have included performances at Carnegie Hall, New York (see picture) and prizes at international festivals in Poland, Belgium, Slovakia and the Czech Republic. The WIT Youth Choir has won many awards at choral festivals in Ireland. It has the accolade of winning the National Competition for Youth Choirs at the Cork International Choral Festival on each of their last five visits and was titled ‘National Choir of the Year’ at the Navan Choral Festival in 2016 – the first youth choir to ever win this prestigious award. Past members have gone on to study music at third level and have received choral scholarships to various universities in Ireland and the UK. 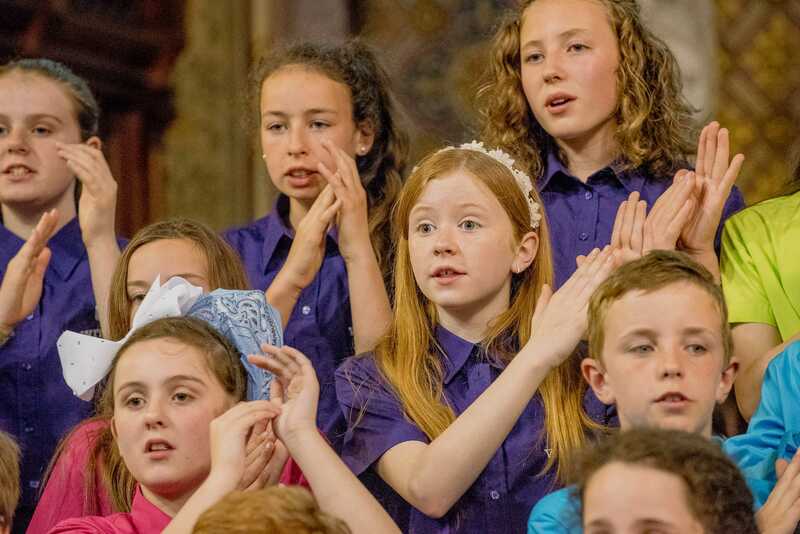 Many more have gone on to sing in some of Ireland's leading professional, collegiate and amateur choirs and have featured in prestigious choirs such as the Irish Youth Choir and World Youth Choir. The audition itself is free and very straight-forward. A sample audition is available to view below. Vocal Assessment - Each candidate should prepare a song to perform at the audition. This could be a song from school or a verse and chorus from a favourite pop song or even a simple nursery rhyme for younger candidates. Musicianship Assessment - The audition will also have some simple listening tests e.g. clapping back and echo singing. There is a short sight-singing test for older candidates along with some questions on musical symbols etc. To book an audition: email [email protected], click on this link or call our office on 051 302277. Those studying voice or an instrument in the Music School are entitled to partake in choir free of charge. Those studying voice or an instrument in the Music School can avail of a combined fee for their lesson and Musicianship class, reducing it by €60. For more information on the choirs (including musicianship, uniforms, newsletters and more,) please see our Handbook.